Lawson Adkins trucked supplies from the beaches of Normandy, France to the Battle of the Bulge. Lawson Adkins will soon receive the honor from the government of France at Cape May, where he lives. WILMINGTON — A local resident who answered his nation’s call to duty is about to receive international recognition for his meritorious service in World War II — including during D-Day on the beaches of Normandy — which led to the liberation of France. U.S. Army veteran Lawson Adkins, who resides at Ohio Living Cape May, will be honored by the government of France in a private ceremony for family and invited veterans and guests on April 6. The presentation of the French Legion of Honor — the nation’s highest honor — will be presented by the Consulate General of France in Chicago, Guillaume Lacroix, announced Mac McKibben of the Clinton County Veterans Service Commission. Below is just part of Lawson Adkins’ story. The little house on the creek called Billeys Branch in Wayne County, West Virginia, got a little smaller when Walter and Dora Adkins welcomed their first child, Lawson, on the 21st day of March 1922. Though he was the oldest of eight children and had to help his dad on the farm, Lawson still found time to hunt and to play basketball for the Wayne County High School team. Following his enlistment on Dec. 16, 1942, Lawson would travel from Billeys Branch to the English Channel. He would trade his squirrel gun for an M-1 Springfield and sub-machine gun — qualifying as an expert marksman with both while in boot camp at Ft. Moultrie, South Carolina — and trade his dad’s ‘36 Chevy pick up for a “Deuce and a Half”, when he was assigned to the 50th Coastal Artillery in Key West, Florida. Just weeks before the 50th was to move to Montauk Point Long Island, New York, a major storm hit Key West, making the bridges and roadways impassable, so all the supply trucks, with their 50-caliber machine guns in tow, had to drive to Miami on the railroad tracks and bridges, where they were loaded onto rail cars. The men were not in New York long before they were reassigned to the 491st Anti Aircraft Artillery Battalion in Ft. McKinley, Maine and from there to Massachusetts, and finally, the U.S. Army staging area at Camp Kilmer, New Jersey. Their ship arrived in England on April 1, 1944, and he was assigned to 491st Anti-Aircraft Division, and after two months of intensive preparation, Lawson and his truck, with machine gun trailing behind, were on a barge in the English Channel. Watching the D-Day invasion unfold for a few days from the channel can make a person more than a bit nervous about landing on the beach. Awakened at 3 a.m., it was finally time to disembark. Anxious to get off the barge, Lawson had the engine of his truck revved to the point flames were shooting from the upward pointing exhaust pipes making them a target for Nazi aircraft. The officer in charge quickly told him to calm down and get ashore. When he landed on Utah Beach in Normandy the trucks in his company positioned the 50-caliber machine guns and other weaponry around a dam and lake that was main water supply for the area. Lawson’s job was to haul supplies to those positions. 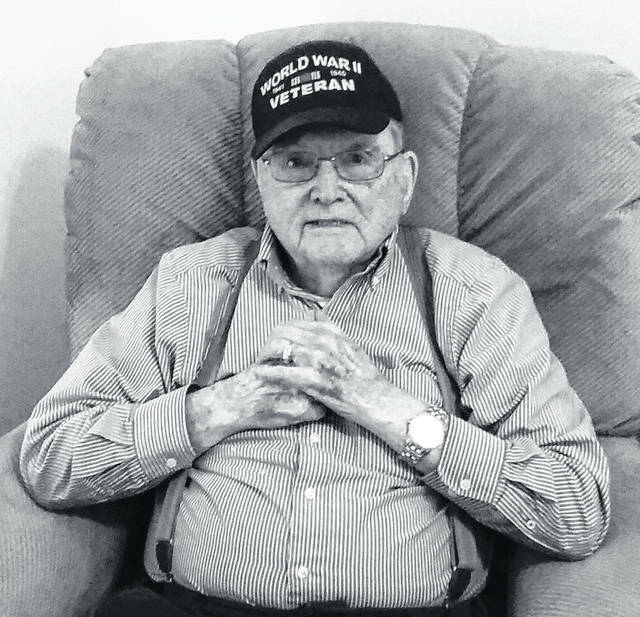 When the sun came up later that morning, Lawson walked around his truck and discovered that the soldier riding with the machine gun he was towing was a man he knew from Wayne County. The man, Walker, told him that he had quite a ride, bouncing over the rocks on the beach at full speed. Lawson spent the better part of the next year hauling troops, supplies, fuel and ammunition to machine gun emplacements and forward companies. At one point the 491st replaced some of the drivers from the famous “Red Ball Express” after they had abandoned their trucks. After Germans were pushed out of Southern Germany, the U. S. and Allies left food, medical supplies, etc. on the beach and he hauled them to a French government distribution center. The Battle of the Bulge and other major battles were all part of Lawson’s drive to Mannheim, Germany, earning several medals — including the Bronze Star — along the way. World War II behind him, Lawson was separated from the service at Ft. Mead, Maryland and returned home. Having acquired many new driving skills, he thought about beginning a career as a truck driver, however his father thought he needed something more stable, so they went to the local office of Norfolk & Western Railway. He was hired on the spot as a telegraph operator and began a 37-year career. Seniority is everything when it comes to railroad jobs. Lawson knew that, so he took every job presented him, meaning he was relocated many times back and forth between southern Ohio and West Virginia, finally landing in Portsmouth, Ohio, where he retired. Lawson was active in the American Legion for 48 years and is a life member of the VFW, serving as Commander of the VFW Post in Sciotoville, Ohio. He, his brother Henry, and his oldest son Dale opened an automobile dealership and successfully operated it for a number of years before selling his interest to his son. In 1990 Lawson sold his home in Portsmouth and moved to Wilmington, where his son had recently opened a new dealership. He now lives at Cape May and enjoys visiting with his family and friends. Lawson Adkins fondly recalls a bus trip of area World War II veterans to Washington, D.C. for opening of World War II Memorial on May 29, 2004. The group was part of the 200,000 people attending, along with 350,000 motorcycles. He remembered that, after ceremonies, they went to a Holiday Inn for dinner with 1940s music, dancing and show. They also went to Arlington National Cemetery. They attended the Changing of the Guard at The Tomb of the Unknown. He recalled that some of the local veterans with him then were Bert Werner, Bill Vandervort, Joe Schultz, Bob Rice, Marvin Ferris, Maynard Hagemeyer and Dutch Stackhouse; the tour guide was Ruth Fogle. The French Legion of Honor was established by Napoleon Bonaparte in 1802 and is awarded to foreign nationals who have served France or the ideals it upholds. Recipients include Generals Dwight Eisenhower and Douglas MacArthur. American veterans who risked their lives during World War II who fought on French territory qualify to be decorated as Knights of the Legion of Honor. Consul General of France in Chicago Guillaume Lacroix, who will present the award, started his diplomatic career in 1997 assigned to the Department of African and Indian Ocean Affairs in Paris, then to the French Embassy in Tanzania, then the French Embassy in Washington. He started his current position in August 2017. Editor’s Note: Part of this article written by Paul Butler appeared in the April newsletter of the American Legion. 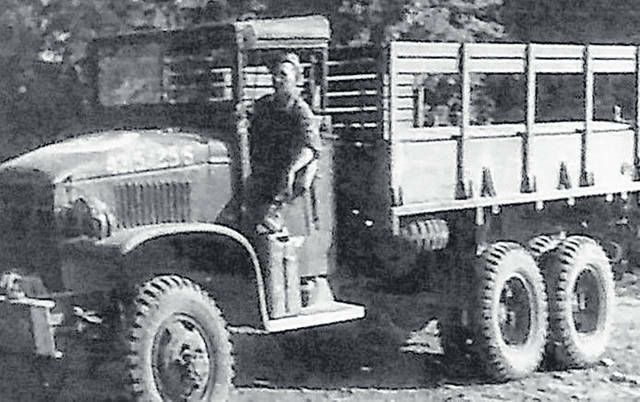 https://www.wnewsj.com/wp-content/uploads/sites/22/2019/03/web1_lawson-in-truck.jpgLawson Adkins trucked supplies from the beaches of Normandy, France to the Battle of the Bulge. https://www.wnewsj.com/wp-content/uploads/sites/22/2019/03/web1_lawson-now.jpgLawson Adkins will soon receive the honor from the government of France at Cape May, where he lives.